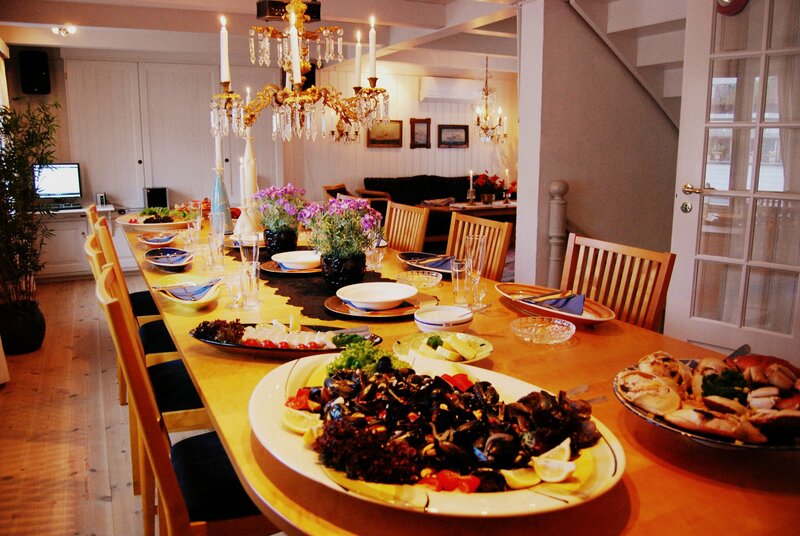 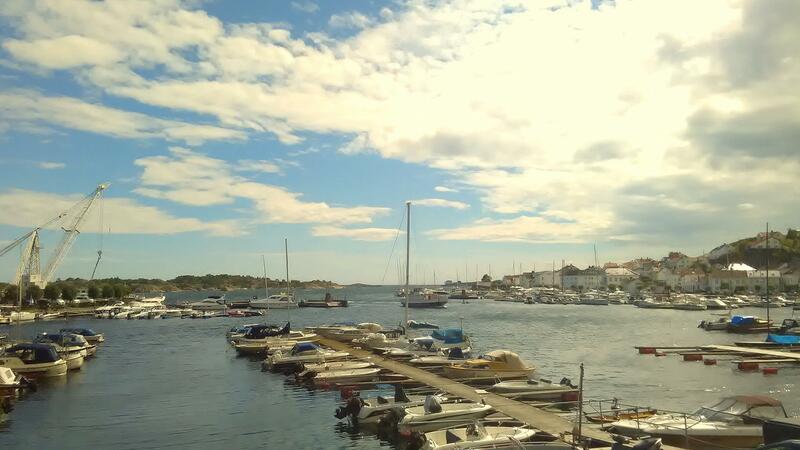 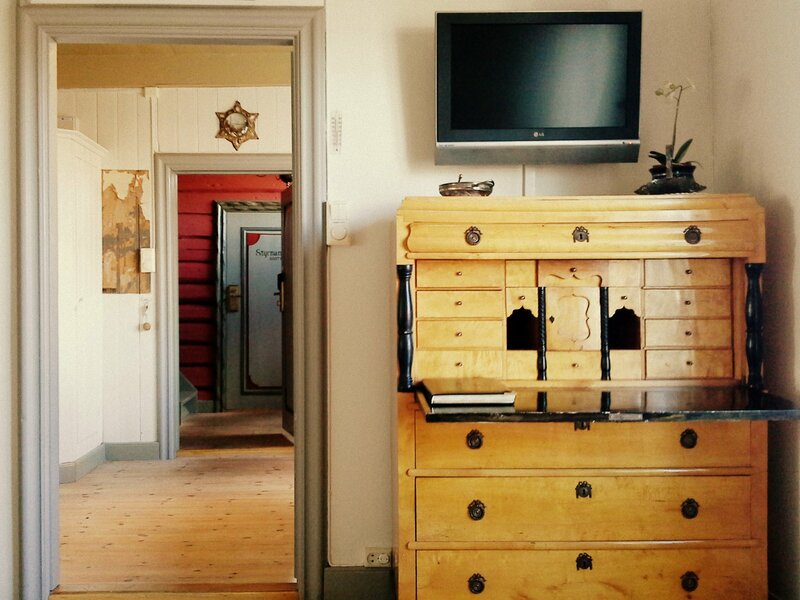 When the hotel owner will accommodate their own guests, they often send them to The Guest House in summer. 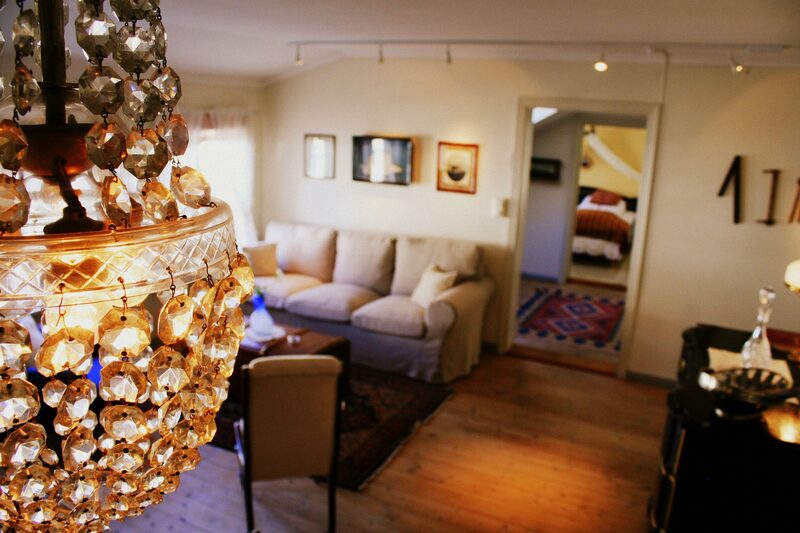 Other suites can be larger and more luxurious but the charm here is difficult to resist. 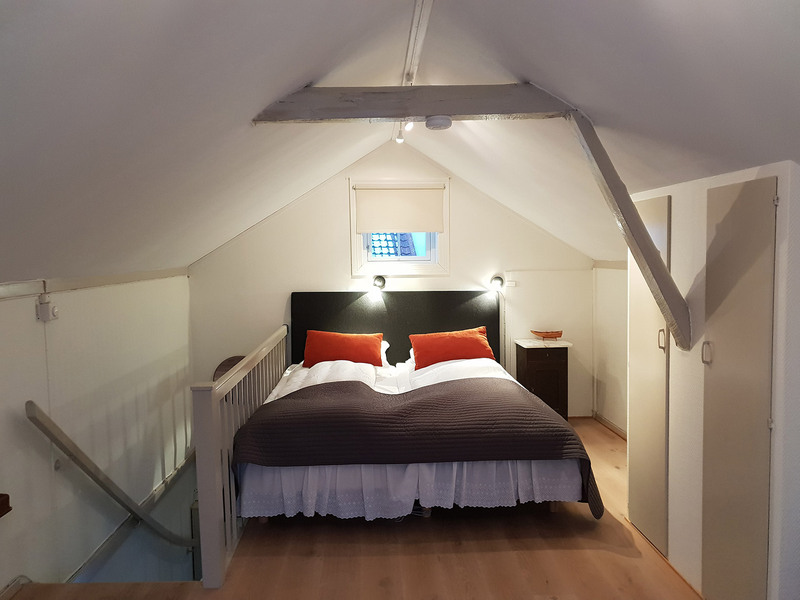 The suite has living room and small kitchen downstairs with huge glass doors that open on to the garden, with a heated pool from May - September. 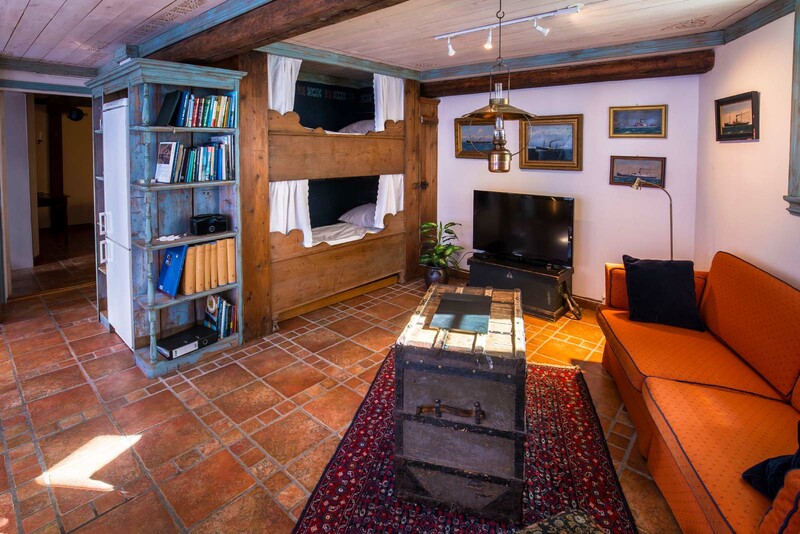 There is a small bathroom with shower and heated floor. 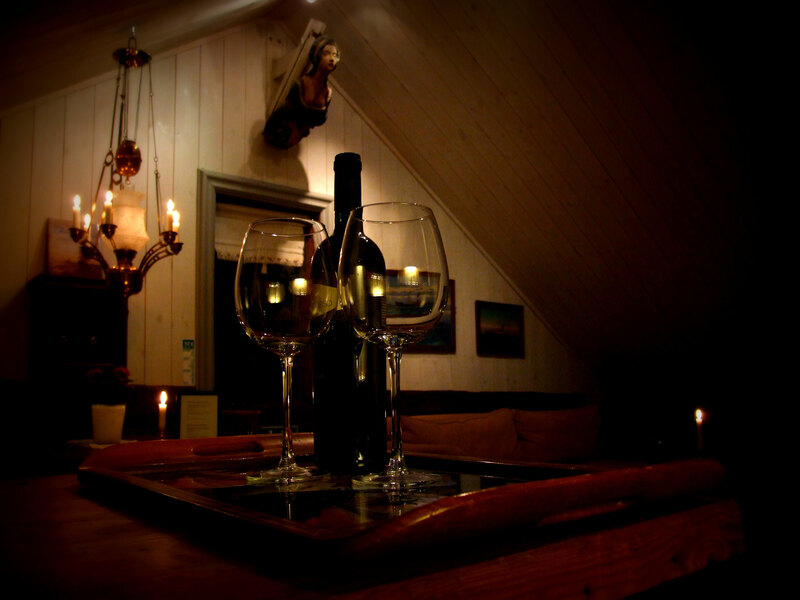 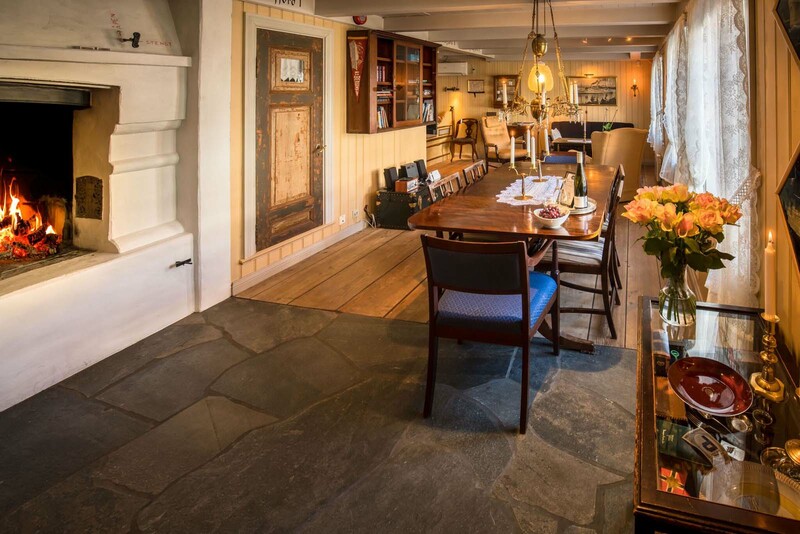 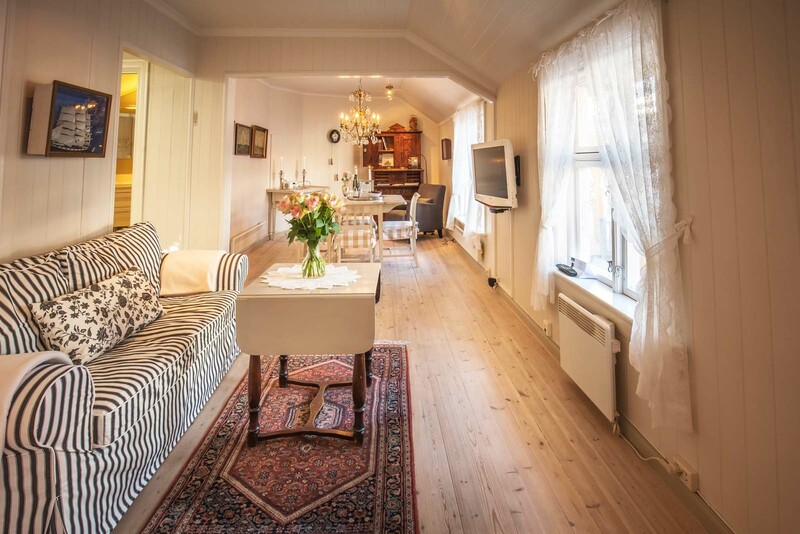 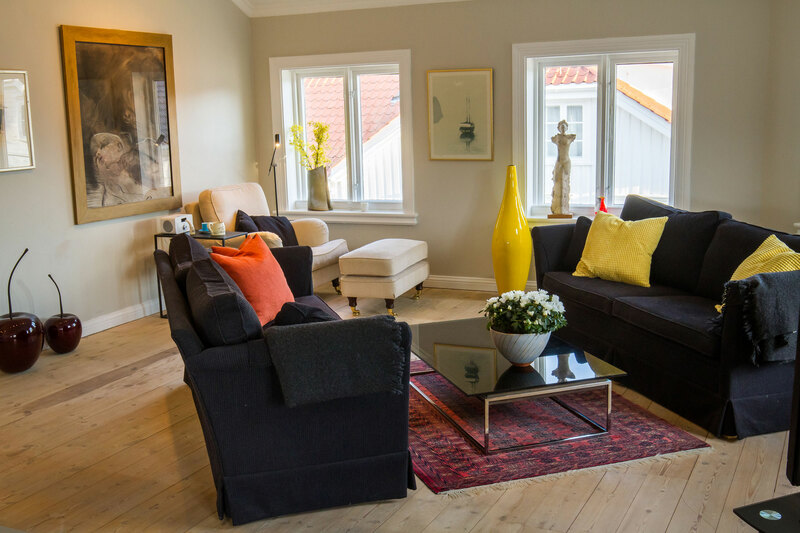 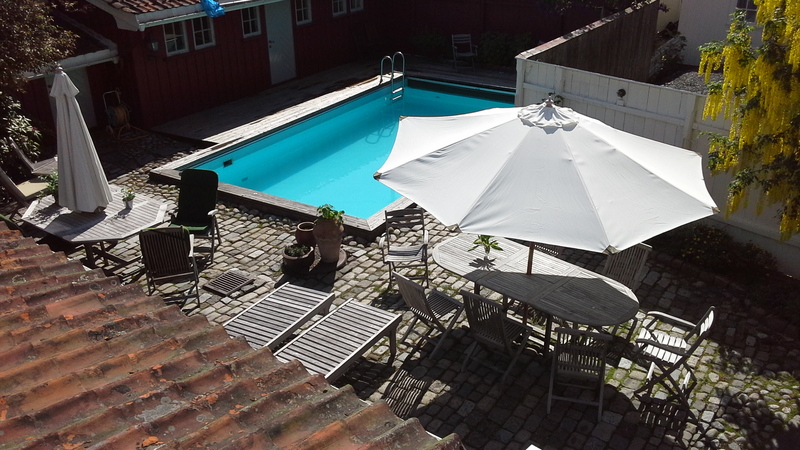 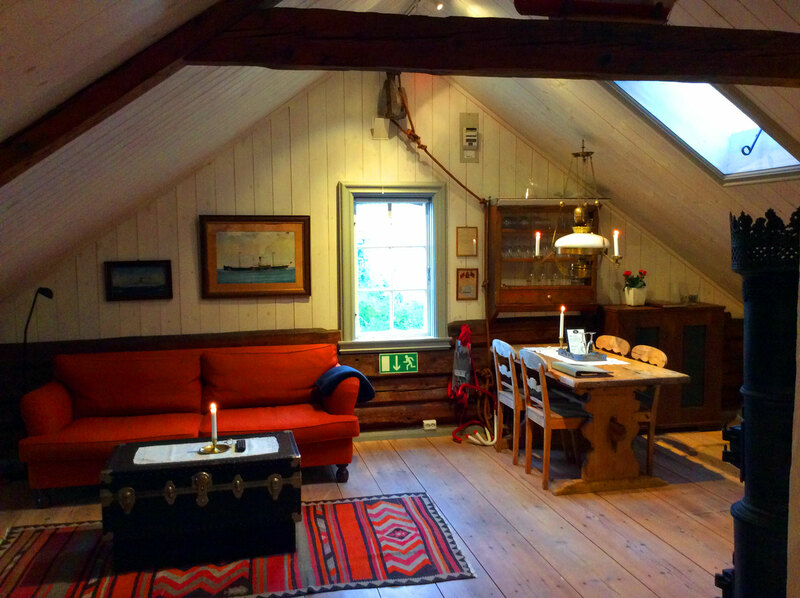 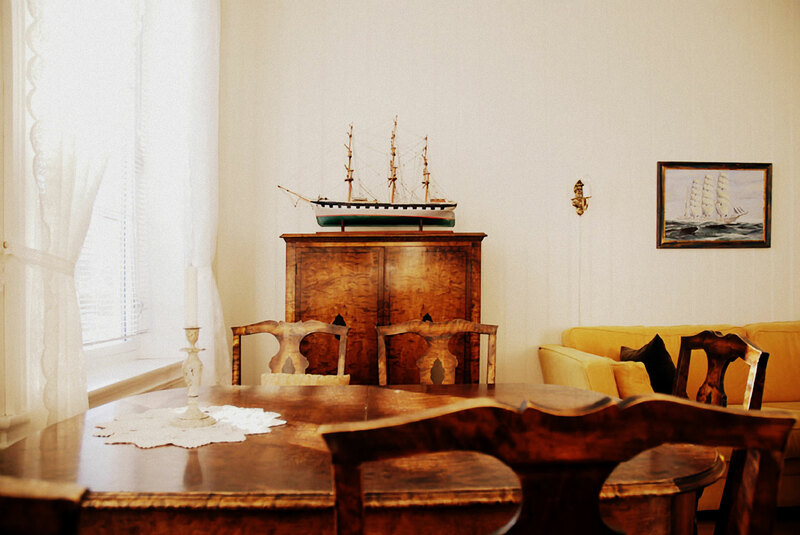 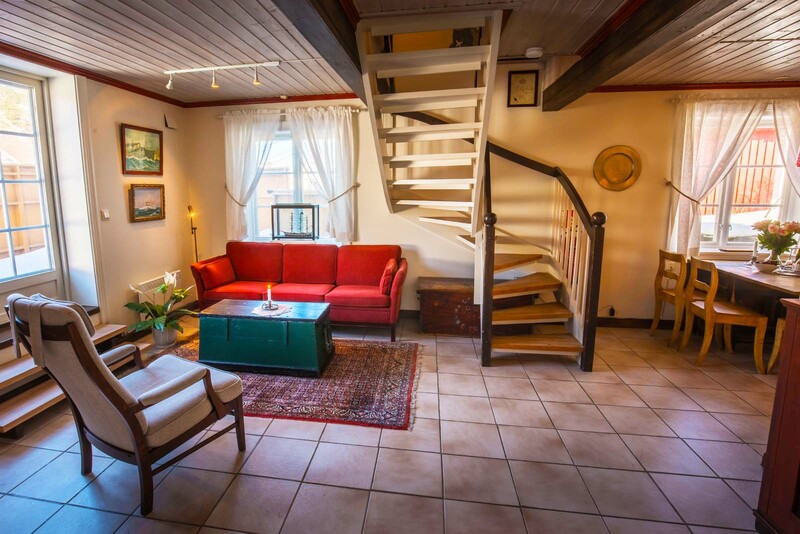 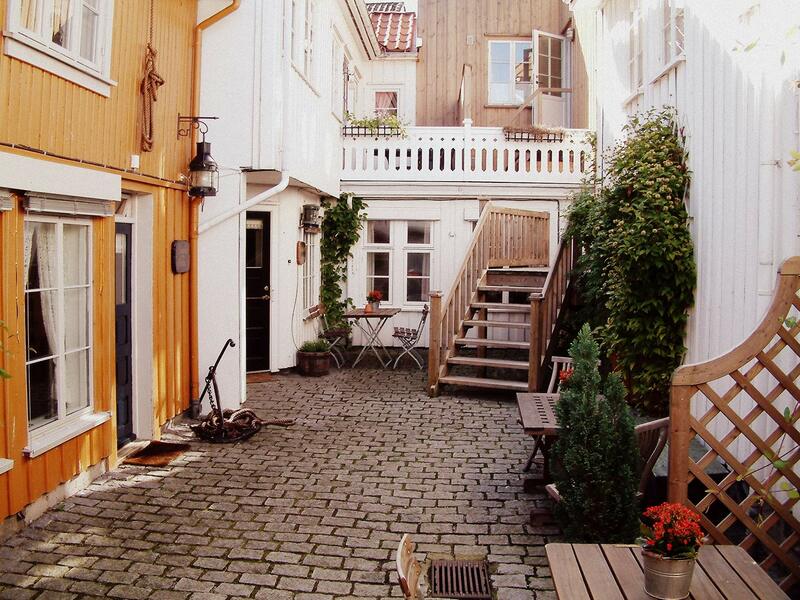 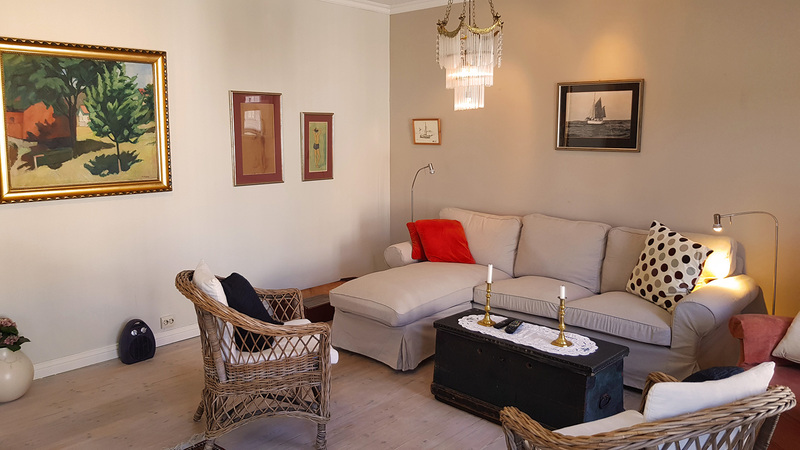 Upstairs there is a spacious bedroom with double or twin bed, and doors that open onto a small balcony with a view to the garden and the historic Risør Church.